Exercise, to many, seems like a chore. Who wants to get up an hour early to go swimming before work, or who wants to say no to a drink with friends and instead go for a run? Not many people. But, as we all know, it has many benefits and that’s why it should be incorporated into our working day. Exercise is fantastic for our physical health and our mental. If you’re ever feeling stressed, uninspired or just in need of a good stretch, here’s some of the best workouts you can do. Yoga is traditionally associated with stress relief and so, if you feel like you need to relax, instead of conking out on the sofa do this instead. It’s now such a popular form of exercising that many gyms offer classes taught by specialist instructors, there’s lots of locally organised workshops cropping up along with specialist getaways where you can spend the whole holiday learning new techniques and poses. As well as helping to control your stress, you’ll also find you have more energy, more strength and more flexibility! It also helps people to sleep better – and everyone with a busy working life appreciates a good night’s kip. Overall, this is a great form of exercise and one where you’ll really see yourself improving week on week. Oh and boys, don’t think this is just for girls. Lots of men actually enjoy yoga and develop strong physiques and feel more relaxed from doing it. Jogging is fantastic for both the body and the mind. Regular runners find that after they’ve been exercising, their mood lifts and they become happier and more relaxed. That’s why sometimes it’s actually suggested as a way to treat depression. 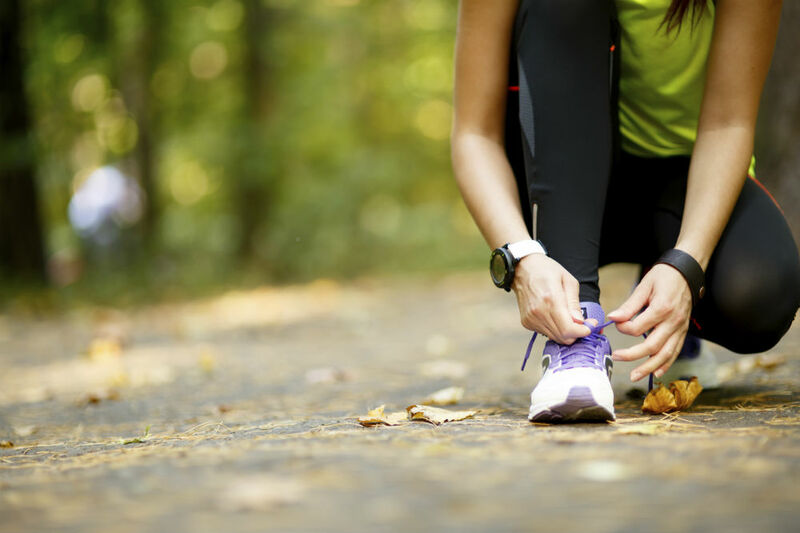 Jogging is a great form of exercise, especially when you do it outside. You can go and explore new areas, take in the scenery and breathe in some fresh air, all of which might inspire you to come up with creative business ideas. Running is also great for your physical health, with regular outings you’ll start to lose weight, strengthen muscles and build strong bones. People find that it can be addictive once they start seeing improvements. Setting yourself challenges will become a regular thing and may even lead to you entering competitions and organised charity runs. Overall, you and your body will start to improve and it gives business owners the valuable time needed to think, be challenged and get inspired. If you exercise in the morning, you’ll also get a few extra benefits because aerobic exercise actually stimulates brain activity, helps with your short term memory and enables better problem solving techniques. Getting up early to do exercise sets you up for the day, and means you’re less likely to miss it because something more tempting comes up after you’ve finished work. Dancerise is big at the moment and therefore many gyms are starting to offer classes. The benefits of this upbeat and physical exercise are never ending, so get down to Zumba, Pole or Street dance after work. After just a few sessions you’ll notice your stamina improving, meaning you’ll be able to spend more time practising new moves. If you keep it up, your weight will be kept under control and your muscles will become more toned. That’s not all though, dance is unsurprisingly great for your brain too. When we dance, lots of signals are passing between the brain and our body parts, controlling how we move. Dance is therefore a great way to stimulate neural activity. It’s also brilliant for memory, if you only go to one dance class a week then you’ll go roughly 7 days (without practice) before you do the routine again. Remembering exactly what you have to do with your body, and at which time is a great way to get your brain going. You may not think your coordinated enough to go to a dance class and bust your moves in front of other people, but even having a boogy at home can be good for your body and help you to feel more energetic and happy because just like running, dancing is a great way to feel uplifted.